Horses are amazing animals with many interesting characteristics. Here is a list of 10 unique facts about horses. An adult horse's brain weighs 1 lb 6 oz. That is just about HALF of a human brain. 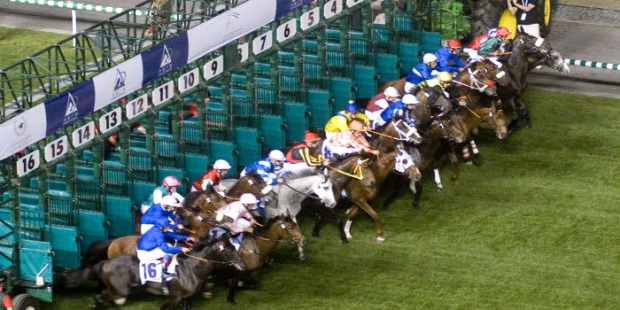 Chariot racing was the first Olympic sport dating all the way back to 680 B.C. Cigar won 16 consecutive races from stretching from 1995 to 1996. Trotters," use a diagonal gait & "Pacers," use a lateral gait. This is the difference between the 2 in harness racing. When a horse is cantering, every stride is accompanied by a breath. Horses know when a companion dies and will actually mourn. Frankel went unbeaten through his career, winning 14 times, 10 at group 1 level. Horses drink at least 25 GALLONS of water a day! They can drink EVEN MORE in hotter climates. Descendants of Eclipse account for almost 90% of all thoroughbred horses. Horses have excellent long term memories. They really zero in on and can remember about areas where they were scared. Do you have a unique fact? Please share in the comments below.